One of the UK's biggest charities has come under fire for giving £275,000 to an organisation linked to a banned Irish republican group. According to The Times, the Joseph Rowntree Charitable Trust funded a grant of £149,915 to Teach Na Failte, a body with close ties to the INLA, in November 2014. This was followed by another £125,000 in March last year. The Charity Commission is seeking a response from the trust to the claims. Michelle Russell, the commission's director of investigations and enforcement, said: "Our guidance makes clear that charities need to take steps to carry out appropriate due diligence on organisations applying for grants, must ensure grants are only for activities and outcomes that further the charity's purposes, and decisions made are in the charity's best interests. "Charities should be able to explain and justify their funding decisions. We have asked the charity to do this." The commission said it would "not hesitate" to take action if needed. The Joseph Rowntree Charitable Trust said it had worked to end violence in Northern Ireland for more than 40 years and funded groups "transitioning from violence in loyalist and republican communities". The organisation insisted it "has no relationship with any armed groups or proscribed organisations, including the INLA". It said: "Teach na Failte is recognised by HMRC as a charitable body. It provides a range of peace-building community initiatives including support for INLA ex-prisoners and their families. "Teach na Failte has been a key player in the INLA ceasefire and decommissioning process. "It has been recognised for its positive contribution to peacebuilding and the reintegration of former prisoners in Northern Ireland. "INLA declared their armed struggle over in October 2009 and publicly confirmed they had decommissioned their weapons in February 2010. "In November 2014 JRCT awarded a grant of £149,915 specifically for the 'Transition Initiative' project. "In March 2017 the trust awarded a further grant of £125,000 to Teach na Failte to continue this work." 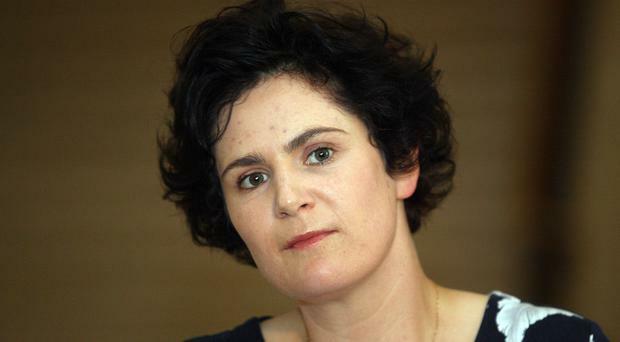 SDLP MLA Claire Hanna called the award "sickening". She said: "Twenty years after the conflict we are still paying ex-combatant groups. What exactly is this group doing that benefits the wider community? "When we keep handing out cash on the basis of their paramilitary affiliation, they have no incentive to change. "Cases like this are sickening when I think of decent organisations doing meaningful work but with little or no funding."